Megatronus is a fighter. He will never be a simple drone again. He will never go by D-16 again. No, he wants to change Cybertron. Yes, he's a warrior in the Pits. But he strives to be more. He strives to be a Prime, the Prime to bring those that suffer out of their suffering. Then he meets Orion Pax. A simple archivist, but Megatronus sees something in him. But when Orion is made Prime what will happen to their relationship? I'm sure you all know the story. But do you know the back story? The war has ended, leaving Megatron as a prisoner and Optimus as the new leader of Cybertron. Unwilling to execute Megatron for hate of killing yet another mech, Optimus devises a plan to hopefully change Megatron for the better. But there are always flaws with even the best of plans, so the Prime must take the good with the bad as he tries to show Megatron that even he can feel happiness. After fighting for so long Megatron decides to stop and befriend the autobots. This takes place when the are now friends again, like how it was way back on Cybertron. What if megatron and Optimus never became enemies but instead allies. They join forces and fight together. Optimus never gets the matrix and megatron never became evil. 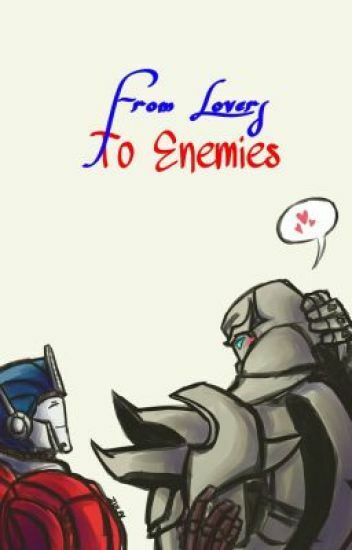 So this is a RatchetxOptimus fanfic written by a partnership between me, Pepauppy_Autobot, and ScorchleDragon. We do not own Transformers or its characters, we only own the plot. The cast of tfp along with myself will be reacting to tfp ships. So what are we waiting for? LET'S GO! Breakdown has gone missing after going on a mission with Dreadwing and Airachnid. Everything in Knockout's world stops turning. His spark stops mid-beat and coolant gathers in his optics. I do not own transformers or any of their characters. This is an Alternate Universe where Team Prime is a human family. Optimus is a single dad who is struggling to raise his small family after an accident.